While summer has wound down, there's one season that never truly stops—a season rejoiced around the world for its complexity, beauty, and splendor—one in which we are forever grateful, and that’s wine season. 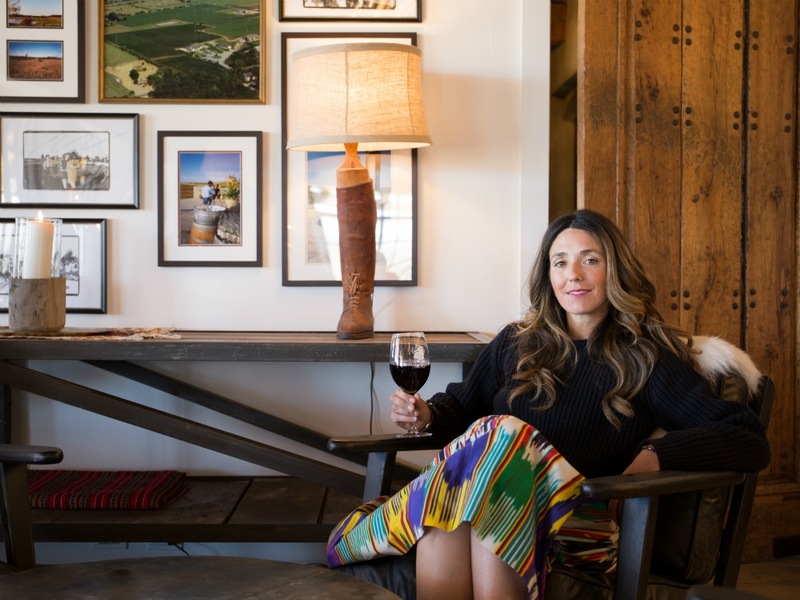 New Yorkers need look no further than the North Fork or the Hamptons to stroll through acres of vineyards and savor the latest of bubblies and blends produced by passionate winemakers day in and day out. This year, we celebrate the 30th anniversary of the renowned Wölffer Estate in Sagaponack, a family-owned and operated business who’s been producing a distinctive collection of wines, spirits, and ciders since their 1988 inception. We sat down with Joey Wölffer, co-owner of Wölffer Estate Vineyards & Wölffer Kitchen to discuss 30th anniversary celebrations, exciting new product launches and evolving the business into a beloved lifestyle brand. This year marks Wölffer Estate Vineyard’s 30th anniversary—congratulations! Will you tell us a bit about the new products you’ll be launching to celebrate this special year? JOEY WOLFFER: Thank you! We’re so excited to be celebrating. This year we’ve launched some really special products that we’re very proud of. 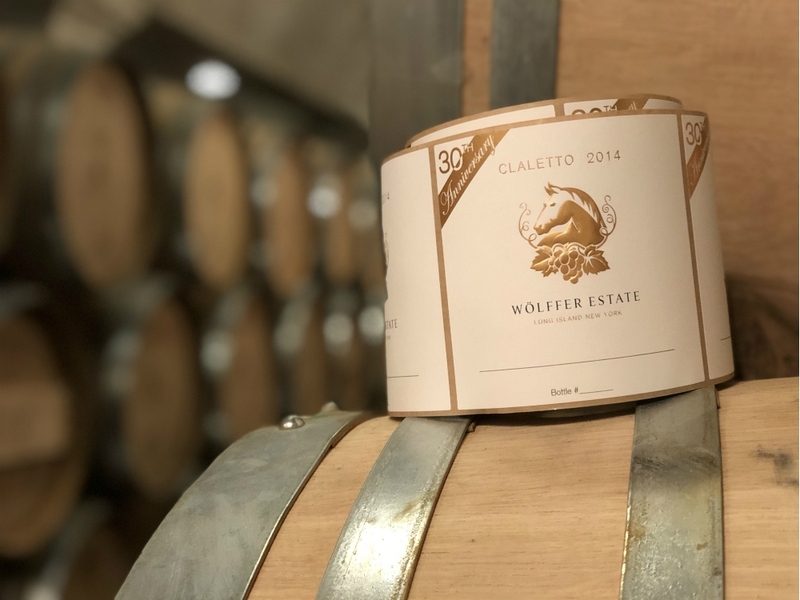 We released a 30th anniversary wine, the Claletto 2014, which is an Amarone style wine that we only make in the best of vintages and release on our anniversaries. Definitely a collectors bottle! We also released our beloved No. 139 Ciders in cans, and added a new flavor into the mix—our first No. 139 Red Cider came out last weekend! We may or may not have a few more things up our sleeve before the end of the year as well! Since you’ve been running the estate with your brother Marc, wine sales have just about doubled every two years. This is certainly a testament to your success. Upon taking on your role, where did you focus your business efforts? JW: After my father passed away, it was a tough time for my family and I and we tossed around whether this was something we wanted to take on. When Marc and I agreed to do this, we wanted to honor my father’s dream, but we wanted to put our own twist on it. We always say we don’t do things thinking about how our father would have done it, but rather let him and his spirit inspire us everyday to lead the winery in a new direction. We certainly focused on design and image more, and focused on working closely with Roman, our winemaker, to let his style shine. He is passionate and has big ideas, which leads to things like rosé and red ciders done in a way no one ever has! This combined with our design vision and youthful spirit has allowed us to try and fail and break down barriers in a wine world that was once so serious. You’ve created such a dedicated following around the brand. What are a few achievements you are most proud of? JW: Ah, what am I not proud of? I’m proud of cultivating such a passionate, dedicated team that feels just as much of a family to me as my own do. I’m proud of always staying authentic to myself, my family, and the brand we built. We aren’t a trend and we continually prove that. I’m most proud and always taken aback at the fact that we have created something that means so much to other people. Anytime someone comes up to me and tells me that our winery was the place their life changed with an engagement or good news, or they have the best childhood memories of spending evenings at the wine stand, or our wine is what they drank to celebrate a huge milestone—it just makes me so incredibly proud that we have built something that can feel like home to everyone. That plays such a vital role in people’s memories of important events. It’s crazy to wrap your head around. I mean, I grew up running in these fields! And now so many people hold it as a special place in their heart just like I do. We love your two restaurants, Wölffer Kitchen in Sag Harbor and in Amagansett. What motivated you to welcome the dining experience into the world of Wölffer? JW: From the moment Roman Roth landed out here to work for my father as our first and only winemaker, he has always said his wines are three things: elegant, food-friendly, and authentic to the area. He works so hard and so much time and effort goes into making these wines that are such a beautiful reflection of our unique location and such high-quality, we thought it was natural we walk into the food space to help prove these points. We felt like it was time to branch out and continue pushing the boundaries, and the restaurants have become a wonderful gathering place to enjoy the local terroir through food, wine and good company. From branding to interior design, your vision of Hamptons bohemia is front and center across all of your touch points. Where do you look for creative inspiration when building out the Wölffer products and experiences? JW: My inspiration has always come from my childhood, growing up out here on the farms and in the vineyard. I have a distinct vision and memory of the time I spent here growing up, my parents hosting summer parties and all the wonderful artistic people who would pass through, the long coastline, the natural and undeveloped land and miles of farms. It all lends to the vision that is Hamptons bohemia and Wölffer Estate. The vineyard continues to innovate and offer fresh products and perspectives—this August marking the launch of your dry red cider. What inspired the vineyard to craft this new sparkling blend? JW: I am so excited about this one! Six years ago we launched our white and rosé ciders which completely disrupted the industry and were a real game changer for us. Over the years, Roman has always talked about rounding out the portfolio with a red and we finally brought it to life. For us, it’s just about continuing the message that Wölffer can innovate but always makes elegant, quality, food-friendly products and wants to make things that are approachable and casual enough to not intimidate, but refined enough that you can dress them up or down, so to say. The estate is incredibly passionate about sustainable winemaking. What are some of the vineyard’s sustainable practices and what does this commitment mean to you? JW: This is one of, if not the most important thing to me. This is protected land and we feel responsible to the East End to preserve that. As things get built and tore down everywhere you look, having this incredibly special land be preserved for my kids, and their kids, and everyone out East is imperative. We try and fuse sustainability into all parts of our business. In the vineyard and cellar we are completely hands-on, use minimal intervention, and encourage all the natural growth of the land around us. In the tasting room and at The Wine Stand, we try and eliminate packaging or only use biodegradable items, recycle all our bottles and cans, and have solar panels to help power the operations. We support our workers and their families, we give back to the community and we look for new ways to be sustainable everyday in all we do. Touching upon upcoming offerings from Wölffer, we hear the vineyard will launch an exclusive brandy this month. What flavors can we expect from the brandy, and what are your suggested food pairings? JW: Yes! Roman has been working on this brandy for years and it’s going to be so special. It’s super small batch and we are pre-selling the bottles and hosting amazing pick-up parties for anyone who purchases. It’s in a stunning bottle and will be quite special in terms of taste. Just like the gin, we can be quite selective with the spirit and only take the purest and best part of the batch—and of course it will have the Wölffer twist on it, so leave your brandy preconceptions behind! As for your life in the Hamptons, what locations and activities make you feel most at home? JW: I love spending time with my family. I have two little girls now and watching them grow up and experience the things I did for the first time is amazing. Riding horses always makes me feel at home and the most comfortable. I enjoy walking around Sag Harbor with my husband, home cooked dinners with friends, and long runs around the vineyard and stables. At the end of the day, where do you attribute your success, and how will you continue to deliver an exceptional experience to your clientele? JW: I believe our success comes from consistently staying authentic and true to ourselves. We’ve never chased sales or followed trends, and while we can have fun with branding, marketing, events, we stay really true to our core values. We have never tried to be something we aren’t and have an amazing team behind us that has the same beliefs and values. We know who we are and we know the end goal is bigger than what many people may think when they see Wölffer. At the core, this is a sustainable, local, family business that we want to live on for another 30 years and more! I think sticking with this will lead to the most success.